A major breakthrough resulted over the weekend from the CID inquiries into attacks on journalists during the former regime, with a series of early morning arrests of five officers of the Directorate of Military Intelligence over the abduction, assault and torture of former Nation Deputy Editor Keith Noyahr on 22 May 2008. The investigation into Noyahr’s ordeal has been shrouded in secrecy, and police sources say that the secret CID taskforce that made the arrests has been quietly collecting evidence for many months. The evidence against the suspects is said to be as diverse as it is damning. 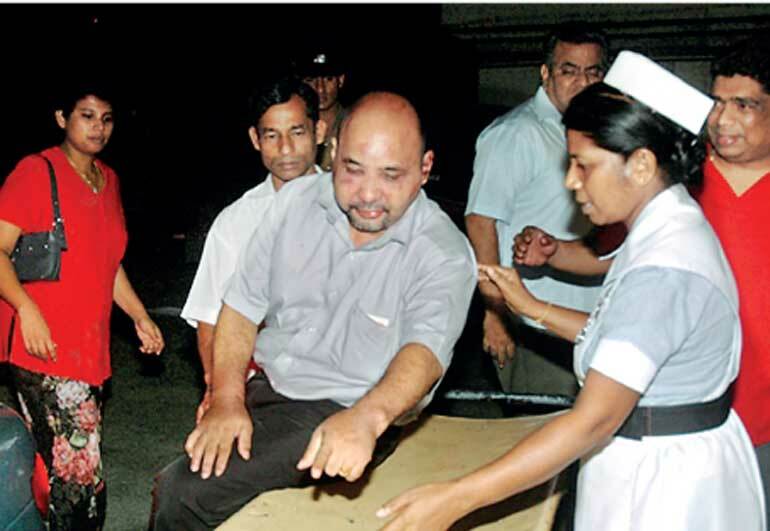 The CID presented a litany of witness statements including at least one person who observed the abduction on Waidya Road in Dehiwela at approximately 10.00 p.m. on 22 May 2008. Other evidence includes statements collected from several family members and close friends of the suspects although investigators were tight-lipped about the contents of those statements. As news began to spread of the arrests early Saturday morning, former Defence Secretary Gotabaya Rajapaksa convened a meeting of his top lawyers including M.U.M. Ali Sabry, P.C., Kalinga Indratissa, P.C.,P.C. and Asith Siriwardena. Expecting that Rajapaksa could be summoned at any minute to the CID, the lawyers discussed a plan of action ranging from the possible filing of a fundamental rights petition to a publicity campaign to implicate former army commander Field Marshal Sarath Fonseka in the attack. 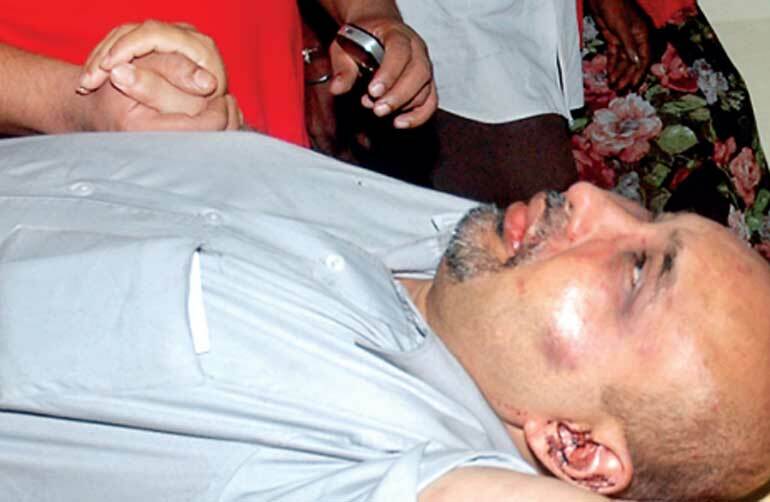 The former Defence Secretary is said to have advised the group that all military intelligence operations were coordinated from the Defence Ministry by Chief of National Intelligence (CNI) Kapila Hendawitharana who would take instruction alternatively from Rajapakse and Fonseka, emphasising that when it came to attacks on journalists, the intelligence apparatus was acting on Fonseka’s instructions and not those of the Defence Secretary. Fonseka, meanwhile, appearing on the Sirisa Satana program last month, had charged that all intelligence and security operations in Colombo were coordinated out of the Ministry of Defence by a team directly controlled by Gotabaya Rajapaksa and Kapila Hendawitharana. During his television interview, he claimed that he had demonstrated this fact to the CID when questioned earlier the same day. The information provided by Field Marshall Fonseka is said to have been invaluable in identifying documents and crown witnesses in support of the taskforce. When two of the suspects arrested yesterday, Warrant Officer Lasantha Wimalaweera and Corporal Nishantha Jayatillake were produced before court yesterday, the CID officers summarised the evidence against them in the presence of the magistrate and lawyers Chamith Harrischandra and Chinthaka Amarasinghe, appearing for the suspects. The lawyers had argued that the investigation was entirely fabricated and that the CID had maliciously gone in search of Keith Noyahr in Australia in order to malevolently tar their clients with a fictitious investigation for political purposes. The magistrate, after hearing submissions from the CID, remanded the suspects until 3 March. Officers described Keith Noyahr’s movements throughout the day on 22 May, explaining the technical means by which they established that the team had been following Noyahr as he moved across the city, from the Nation editorial offices in Maradana, to the Colombo University Campus, then to a funeral parlor in Borella, and to a restaurant in Bambalapitiya where Noyahr dined with his editor Lalith Alahakoon and CEO Krishantha Cooray. After setting up a thorough surveillance around the restaurant, CID officers established how Noyahr was then followed to a supermarket in Wellawatte, and finally ambushed outside his home in Dehiwela, pistol-whipped and bundled into a white van. Over half an hour after the abduction, Noyahr’s wife found his car outside of the house with the engine running, realised he had been abducted, and alerted his co-workers who rushed to the residence. The entire media apparatus sprang into action to help locate Noyahr. Nation editor Lalith Alahakoon, unable to reach President Mahinda Rajapaksa, called Defence Secretary Gotabaya Rajapaksa to alert him about the abduction. Meanwhile, Cooray made contact with officials at Dialog Lanka, seeking their help to locate Noyahr’s mobile phone through whatever technological means existed. A team at Dialog sprung into action, rushing to their computers after 2.00 a.m. on 23 May and were able to discover that Noyahr’s phone was ‘pinging’ or active in the Dompe area. After the Dialog team informed Cooray and police officers of his location, a combined CID team was assembled to search the area. The search was called off at around 5.00 a.m. when Noyahr was seen limping towards his home, having been dropped outside his home by his captors. Noyahr had told the CID that he was blindfolded, hung from a ceiling in what appeared to be a secluded safe house and tortured to reveal his sources for his defence articles, and it was only after consulting with a person on the phone who appeared to be a VIP did his captors decide to release him alive and unharmed. After months of carefully studying topological maps of the area, and with assistance from Dialog engineers and confidential informants, the CID team was able to locate the safe house in which Noyahr was tortured, and establish conclusively that it was a covert military intelligence facility run by Major Prabath Bulathwatte, who was arrested early on Saturday morning and was the commanding officer of the other four arrested soldiers. The most damning evidence presented by the CID was the revelation that a network of telephone calls placed hours after the abduction indicated direct contact from Major Bulathwatte at the Dompe safe house to senior military intelligence officers and in turn to CNI Kapila Hendawitharana and Defence Secretary Gotabaya Rajapaksa, indicative of a conspiracy while Noyahr was in the custody of the abductors. One of these calls is said to be that overheard by Noyahr in which he alleges that a VIP had contacted his abductors and instructed them to spare his life and not harm his family on condition that he would flee the country and never speak of his ordeal.Noyahr is one of the few journalists to have survived at the hands of the death squads that operated during the former regime. 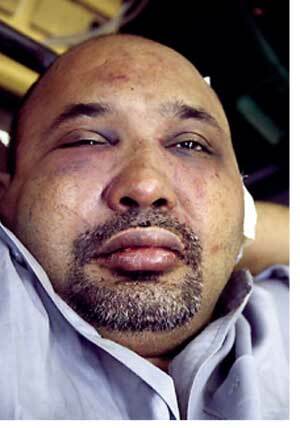 His brave cooperation was invaluable in shining a spotlight on the elusive military intelligence team that investigators have also questioned in regard to the murder of Sunday Leader editor Lasantha Wickrematunge on 8 January 2009.